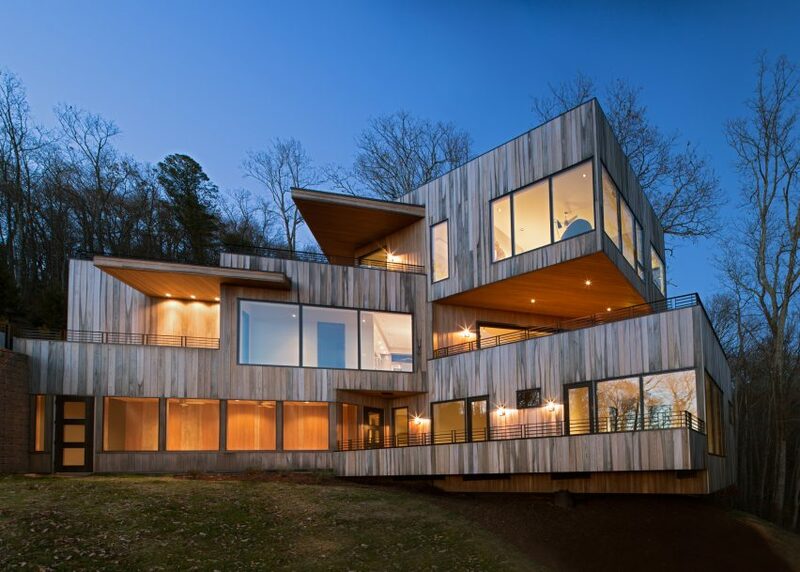 North Carolina is the next US state we're featuring in our ongoing series of American residential architecture roundups. 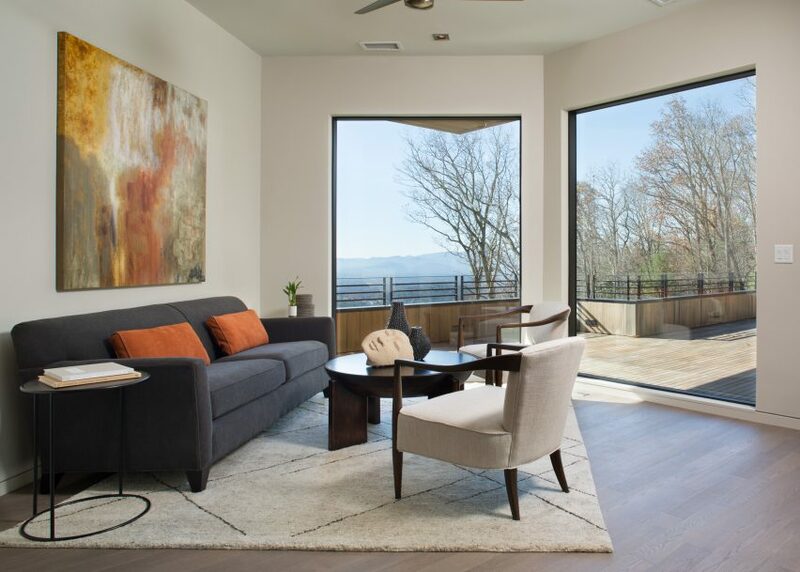 Our top five houses in the region include a renovated mid-century residence and a stacked-volume home overlooking the Blue Ridge Mountains. In Situ Studio clad this rural cabin in darkened wood and set it far back from the road to protect it from view. The dwelling is situated at the crest of a gentle hill, resting on a concrete base and oriented to maximise views and natural daylight, while also providing a sense of seclusion. 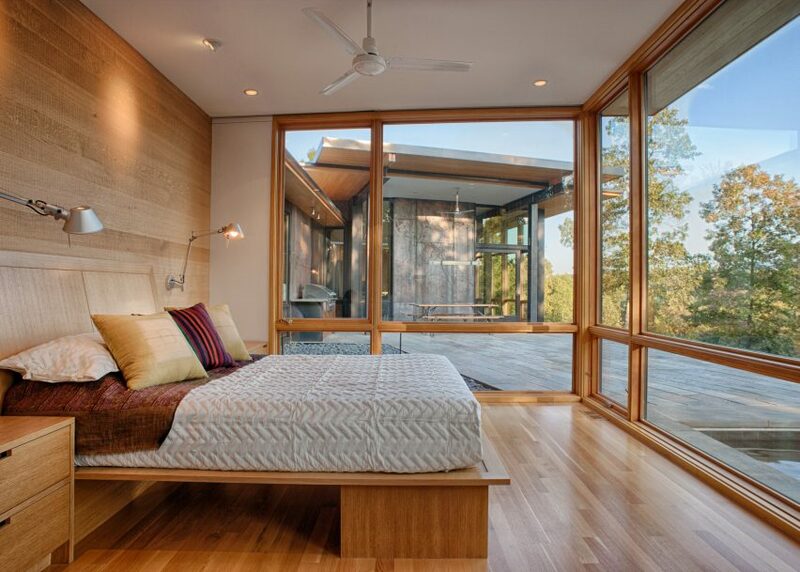 This lakeside house stretched across a woodland site features expansive window walls, and ample use of wood and pre-rusted steel. 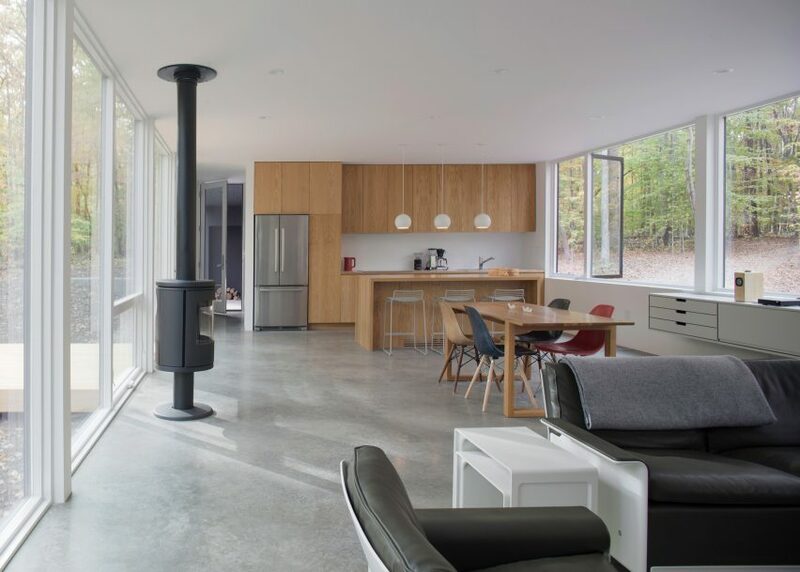 The holiday home was designed to address "the clients' desire to be deeply connected to the land in a clean, modern and simple work of architecture", said Carlton Architecture. 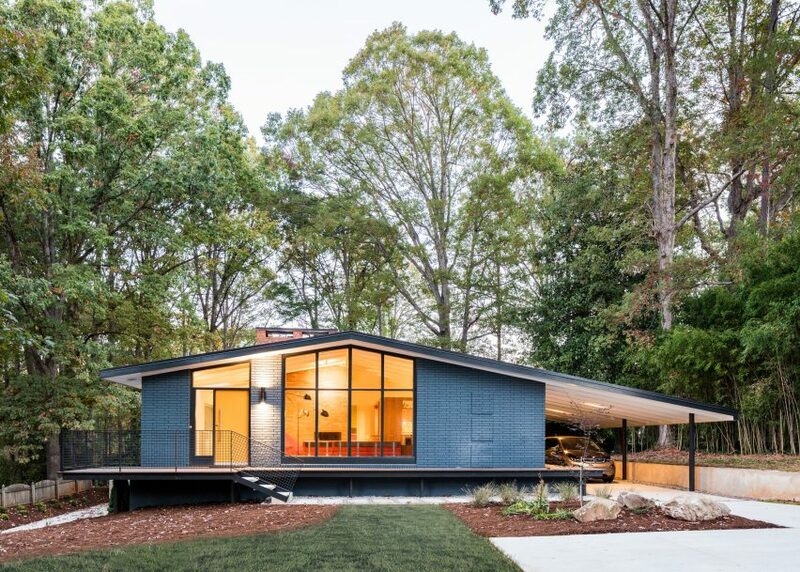 In Situ Studio overhauled a mid-century modern dwelling in Raleigh that had been "haphazardly chopped up" over the years. 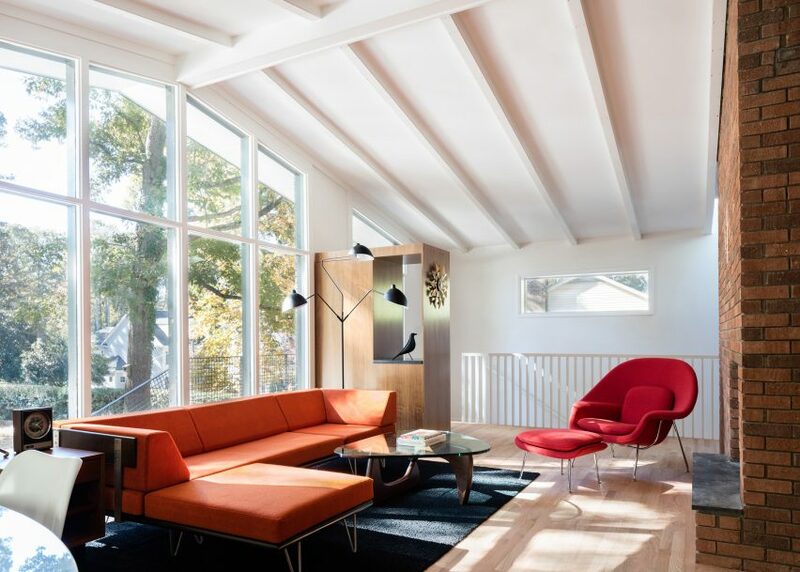 The architects set out to remove the modifications and uncover the home's original character, restructuring interior spaces and adding new finishes inside and out. 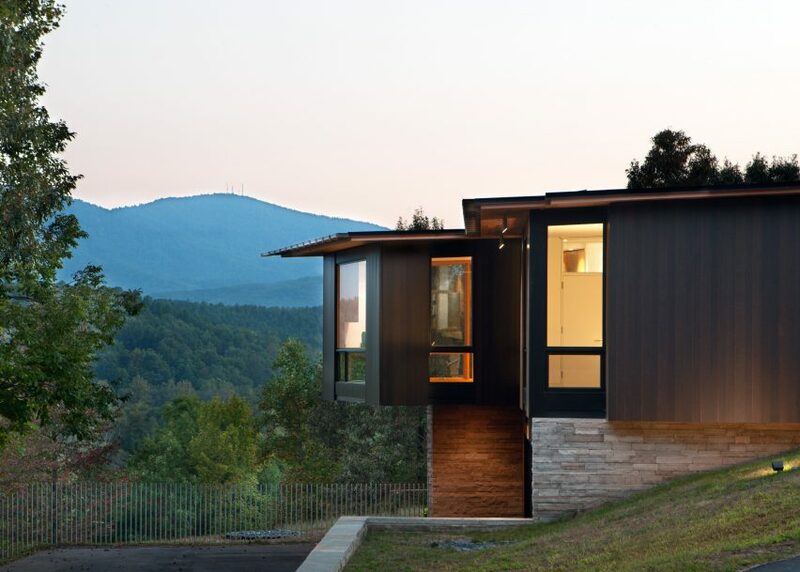 Comprising a stack of cypress-clad volumes, this large house reaches away from its hillside perch to frame vistas of the Blue Ridge Mountains. Retro+Fit Design wanted the building to make the most of the valley-scape, as well as to address developer Ciel's request for a "modern, marketable, and exceptional" residence. 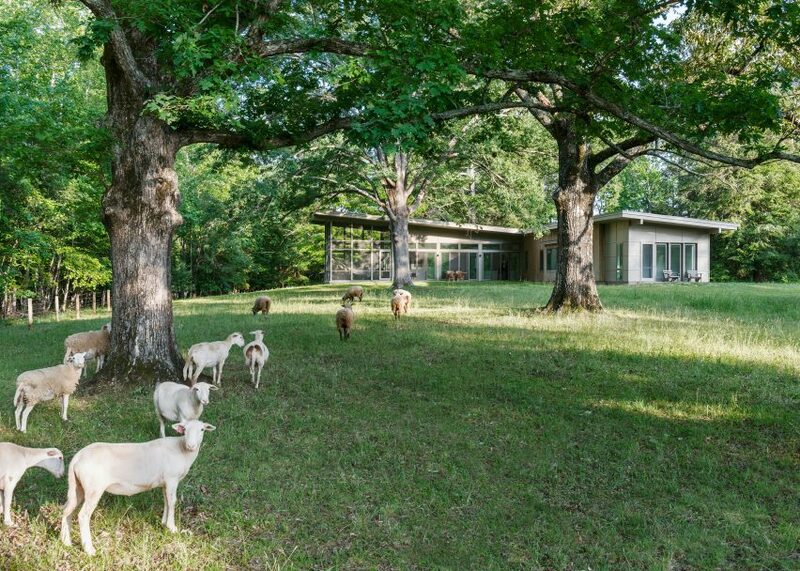 This L-shaped home was designed for couple and their in-laws on a farm, using the area's rural vernacular architecture to inform the aesthetic. 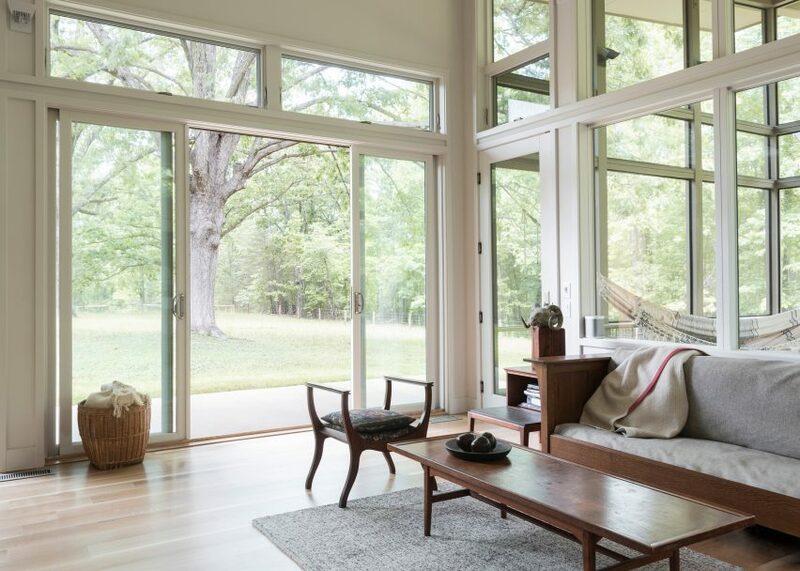 Located in the rural town of Columbus, near the Blue Ridge Mountains, Hammock House is surrounded by dense woods and is built around an ancient oak tree.